Parents often ask what is the best car for first time drivers. While back in the day that meant teenagers, but today, few schools still teach driving so this could mean young adults about to head off to college. The most important feature for parents is safety. The most important features for teens are often power and technology. The features that go into making a great first car are all of these plus economics. Being able to afford the best car you can buy is part of the deal. Here are three top cars that everyone should love. First, this is a car with serious curb appeal. It is sleek, sporty and it raises your pulse rate just looking at it. This is a hot car regardless of your age. It offers enough sporty and economical power to be fun to drive and it handles remarkably well too. Its sharp looks are balanced by a spirited engine that produces just the right amount of horsepower. The 2.0L Boxer engine produces 200 horsepower which is 100 HP less than the six cylinder Ford Mustang. Safety features include Ventilated disk brakes, ABS, and many of the Star Safety System components such as Vehicle Stability Control, Traction Control, and Smart Stop Technology. The rear wheel drive Scion FR-S has a few drawbacks. It has only 6.9 cubic feet of cargo room and while mileage is okay, it requires premium unleaded fuel. Remarkably, the FR-S has seating for up to four people. 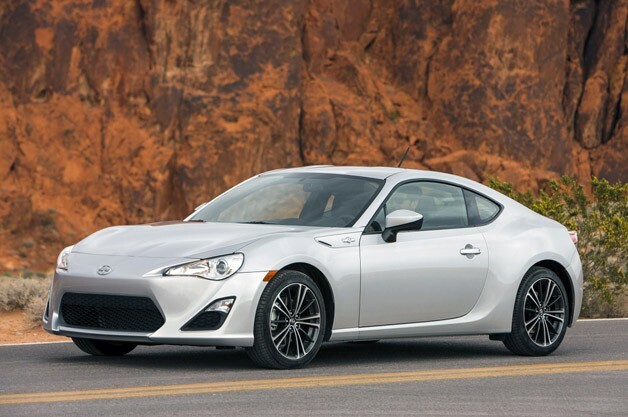 The Safety rating for the Scion FR-S is Good as rated by the IIHS, making the FR-S an outstanding first car. The Mazda 3 is elegantly designed to be sporty and artful at the same time. The long and lean body style offers a lot of fluid lines and graceful accents. The wide grill is offset perfectly by the headlights and daytime running lights. The Styling is classic, but the technology is modern. The Mazda 3 is available as a 4-door or a 4-door hatchback. Both models offer seating for up to five people and the mileage rating can be as high as 41 MPG. The price for a new Mazda 3 is affordable. The 4-door hatchback has a starting MSRP of just under $17,000. Factory certified used models are also available. There are two engine choices available. The 2.0L 155 HP or the 2.5L 184 HP engine. The Best mileage is found when pairing the 2.0 with an automatic transmission (30/40,) but the Manual transmission is fun (29/40.) Safety features include a suite of advanced airbags, Mazda’s advanced restraint system, WIL seats, Anti-Lock Brakes, Dynamic Stability control with traction control, to name but a few. The Mazda 3 is not only fun to drive it is a safe car for new drivers. Overall the Mazda 3 is an outstanding first car with plenty of sport and safety to balance things out. 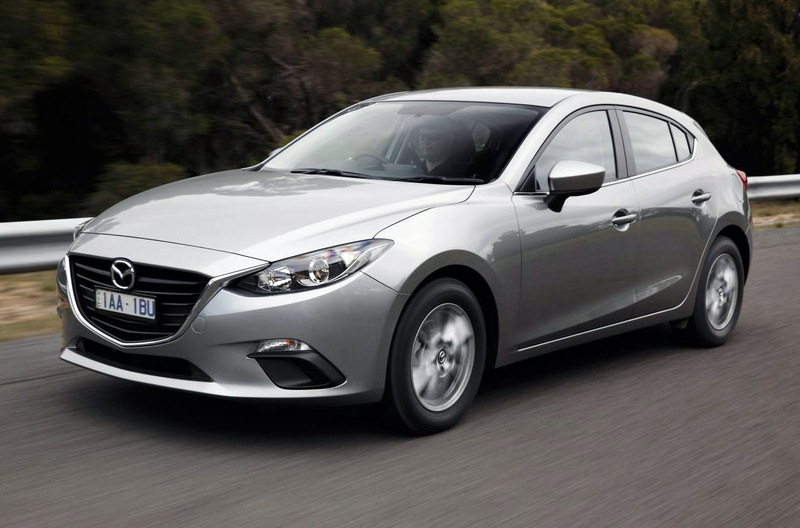 The IIHS rating for the Mazda 3 4-door hatch and 4-door sedan is GOOD. The Volkswagen Golf is the epitome of what a cool hatchback should be. It has a long history as a popular car and this year it offers several models. The Golf is built to impress and includes rich features on its interior and exterior. There are plenty of engine options which range from the turbocharged 258 HP found in the GTI or the turbocharged miser with nearly 50 MPG in the TDI. Both are diesel powered. The Volkswagen Golf has a GOOD safety score from the IIHS. Safety features include Electronic stability, Traction control, a suite of advanced airbags, ABS brakes, and Brake Assist. These combined with safety accessories such as steering wheel mounted audio controls makes the Golf a safe car for new drivers. Tech features CD/AM/FM stereo with MP3 decoder. Overall a great first car. The lux level is good enough to place the Golf in a class above with the likes of Audi, BMW, etc. 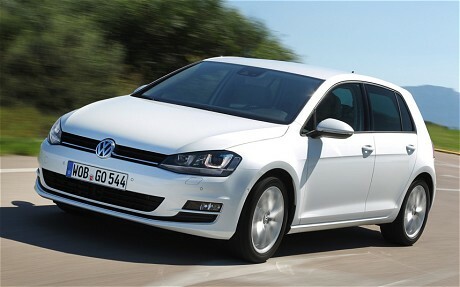 Overall the power and sporty economical Golf makes an outstanding first car.